Artificial intelligence (AI) is making inroads into every imaginable product and service, including data analytics which spawned it. Vendors are now racing to implement AI capabilities, including natural language queries, automated insights, natural language generation, intelligent data preparation, and auto-visualisations. The question now is how AI will reshape business intelligence (BI). Will AI eliminate the need for traditional reports and dashboards or will it enhance those delivery methods, making them more, rather than less, valuable? Will AI generate right answers in response to spoken or written queries and automatically unearth related drivers and dimensions? Or will it simply augment reports and dashboards with additional insights once users are ready for them? This webcast discusses the pros and cons of AI for BI and gives attendees a chance to hear a BI expert and a BI vendor weigh in on the topic. Dashboards are great for monitoring your business, but they aren’t able to provide you with actionable insights in real time. AI analytics is on the rise, and it’s changing the way we consume information. Join us on 12th February to understand more about the current use and adoption of dashboards and AI analytics. You’ll also hear about Gateshead NHS Foundation Trust’s analytics journey, and how they are looking at automated data discovery to optimise their A&E services. Watch this webinar to see how Yellowfin can help you to move beyond the dashboard with a powerful suite of BI and analytics products that will change the way you discover and share insights, so you can make the best decisions, faster. Join our next webinar on 29th November at 10.30am GMT to learn about our major new release, Yellowfin 8. Yellowfin General Manager, Shawn Deegan, will be joined by our SVP of Marketing, Daniel Shaw-Dennis and our Global Product Marketing Manager, Ivan Seow, to give you an exclusive look at the revolutionary Yellowfin suite of products. Watch the webinar today and find out how you can drive the change you want to see using the power of data storytelling. The volume of data is growing, and your time to get to insights is shrinking. Yet most marketing organizations struggle with manual processes and analyst's queues that take days or weeks. A unique challenge is getting all that data in one place in the same format – to leverage it across one single analytics platform with your team. Learn what you can do with your data if you get it right. What is the cost to your business if you continue using spreadsheets or disparate reports and data sources? How many times have you waited for answers from the analytics queue, only for it to be too late to take action that impacts the business? We're going to show you a platform today that can bring your data and organization together that can give you those insights at the speed of business in a governed and secure way. •The three stages of readiness: which stage is your business in today? In this data-driven age, the most successful companies are those who have insight into their data and can share this information across the business. Join us to hear how you can stay ahead of your competition and provide easy access to data, dashboards sophisticated analysis and reporting. In this data-driven age, the most successful companies are those who have insight into their data and can share this information across the business. Join us to hear how you can stay ahead of your competition and provide easy access to data, dashboards sophisticated analysis and reporting. Data sciences are no longer the dark art presented only to the few. 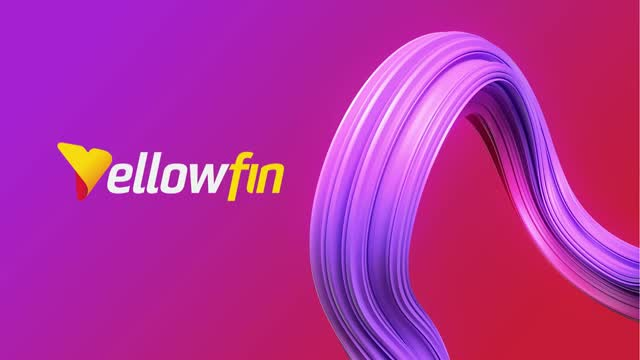 Today Yellowfin brings that dark art into the light by transforming models from programs such as R, PMML, H2O.ai into a single platform to be shared with analysts and visualized by the business. Jeff Shukis and Tyler McGraw discuss how predictive models can be leveraged at scale using today's new technology and tools. Is your data poor quality or badly structured for reporting? Are you looking to speed up the delivery of your reports? Join this webinar as we share best practices on data transformation, and explain why preparing and enriching your data needn’t be a complex or laborious task. * Build your own transformations quickly and easily, by managing ETL-like operations. This webinar has been scheduled for the EMEA region. If this time doesn’t suit you, please register and you’ll receive the replay. When it comes to your critical business questions, are you a spectator or an implementer? Today’s most effective companies blend approachable, business-relevant tools for data exploration with sophisticated technology under the hood to deliver an optimal user experience. Delivering visually appealing insights augmented with machine learning technology helps users better understand the what, why, and what now when it comes to their most pressing business questions. Business users can now get insights faster than ever before without an analyst’s skill. No more waiting for days or weeks, going back and forth in email with your analyst. And analysts now have more time to devote to bigger projects. Yellowfin’s augmented insights tools now allow you, the business user, to get answers in just a few clicks. This is just one of many new features from Yellowfin that gets your organization to the WHY faster. Extracting value from your data is all about knowing what’s there, who can benefit and the strategies to effectively monetize. Join us to hear how your data can deliver new revenue-generating opportunities to your business. What is the potential of AI, machine learning, algorithms, natural language, and augmented analytics? How far have we come when it comes to adoption and realising the benefits? What are the common use cases? And how can you accelerate adoption in your organisation on a budget? This webinar will reveal brand new research from Computing Magazine, from February 2018. It highlights the barriers that organisations are facing when it comes to mastering data-driven decision making, and looks at how the next generation of BI and analytics tools can use machine learning to automate insight. Join us for some real insight into what the potential of this breakthrough might be. The future is here. We have entered a new era of analytics. Data volumes and complexity have exceeded the limits of current manual drag-and-drop solutions. Data is moving at the speed of business but speed-to-insight lags behind. It is time to adopt intelligent next generation, machine-powered analytics interacting with human context to retain your competitive edge. Forrester guest speakers Boris Evelson and Michele Goetz, and Brad Scarff, CTO at Yellowfin. Everyone has data. Everyone has insight. But are you able to act on critical insights at the speed of your market? Find out how you can capitalize on your data and gain the speed-to-insight you need to propel your business forward. Join Yellowfin and guest speakers from Forrester to understand how the next generation of analytics goes beyond dashboards, visualizations and storytelling to provide driven meaningful business results. Yellowfin is a global Business Intelligence and analytics software vendor with a suite of world class products powered by automation. Continually recognised as an innovator, Yellowfin is ranked among the Top 5 analytics platforms across all 15 Gartner Critical Capabilities for Analytics and Business Intelligence Platforms, 2018 and No 1 in Embedded BI by BARC. More than 27,000 organisations and more than three million end-users across 75 countries use Yellowfin every day.